Pachysandra terminalis 'Variegata', also known as Japanese Spurge, supplied in a 2 litre pot - an evergreen perennial or subshrub. Ideal for shady areas in the garden, Pachysandra terminalis is also the perfect plant to grow along a path edge because of it's low growing habit. 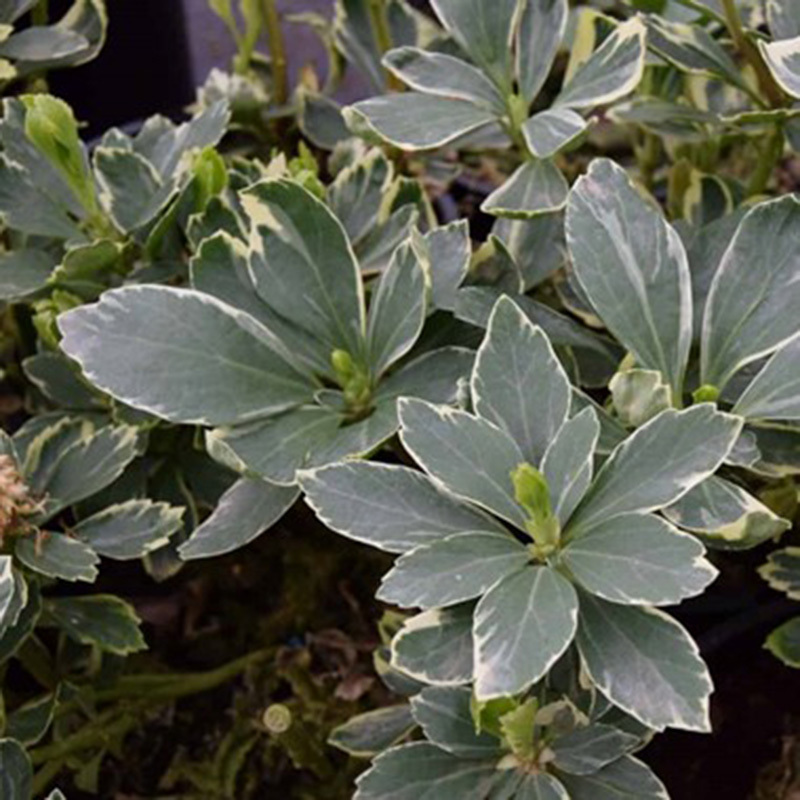 If you would like further information about Pachysandra terminalis 'Variegata' Japanese Spurge, please contact our garden centre at Shawbury just outside Shrewsbury in Shropshire, by calling 01939 251315 or emailing.